Tiffany Haddish is a single lady and has welcomed potential suitors to shoot their shot via social media. 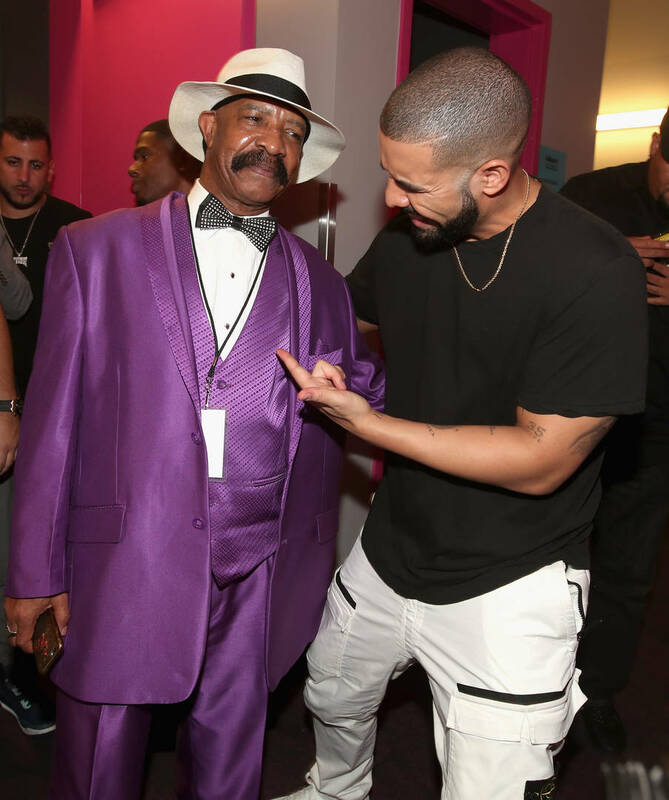 Apparently, this method was used by Drake's father last year. During an interview with Glamour, the comedian recalled how it all went down. It began with Drake hitting her up for his music video and ended with Haddish curving his dad, Dennis Graham. "You know what, Drake slid into my DMs. I saw him a few days later and he was like, ‘yo! You didn’t respond to my DMs!’ I was like, ‘well I don’t even know that you follow me!’ He just wanted to know if I wanted to be in his music video," she said. So, I did his music video and I thought, ‘oh maybe something might happen, you know!’"
Her approach may have been slightly too forward, however. "I was like, ‘are you gonna take me to dinner?’ He said, ‘yeah we could eat dinner,’ and then I never heard from him again. That’s because I was being thirsty – that’s my fault," she continued. "I should have said, ‘I’ll see if I can be in your music video. What are you looking at? Are you trying to hang out with me? Ewww gross!’ I should have been like, ‘who are you again? What do you do?’ His dad hit me up though and I turned his dad down. I’m not being Drake’s step momma!"